“I am something of a contrarian, I suppose. I feel less comfortable when everybody agrees with me. I say, 'I better re-examine my position!' I probably believe that the worst opinions in my court have been unanimous. Because there's nobody on the other side pointing out all the flaws”- so said the maverick judge of US Supreme Court Justice Anton Scalia. In the Indian context, this description might best suit Justice Jasti Chelameswar, who had his last working day as a Supreme Court judge on May 18 (though his official date of retirement is June 22, it falls in between the Court’s summer recess). In the mainstream media narrative, he is the “dissenting voice of Supreme Court”, “the rebel judge”, “chief dissenting justice”, “whistleblower” etc. This popular image is possibly formed by his famous but lone dissent in the historic NJAC judgment, his open criticism of the manner of the functioning of the collegium system and most importantly his radical act of leading the judges’ press conference on January 12 regarding the issues in the administration of Supreme Court. This could have been the reason why Advocate Shanti Bhushan likened him to Justice HR Khanna in a heartfelt farewell speech on his last working day. The most notable verdict of Justice Chelameswar is his lone dissent in the NJAC judgment. 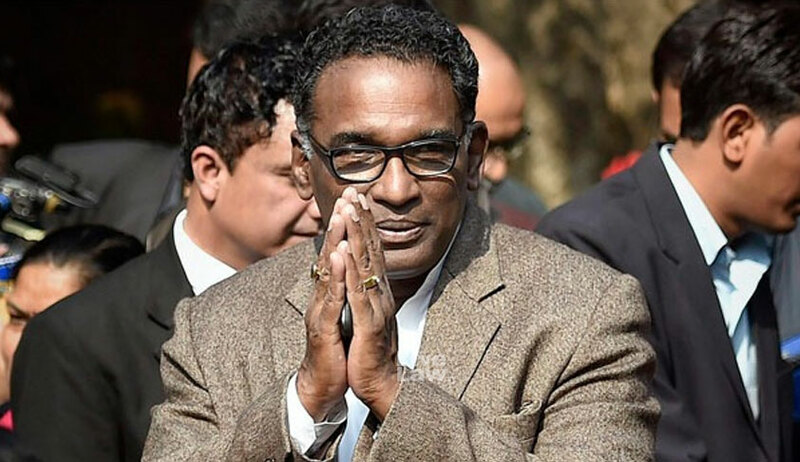 While the other four judges in the constitution bench invalidated the constitutional amendment brought to replace the collegium with the National Judicial Appointments Commission, Justice Chelameswar struck a dissenting note to uphold it. He dissented from the conventional wisdom that any sort of executive role in judicial appointment will compromise judicial independence. He held that primacy of the judiciary over executive in the matter of appointments is not a part of basic feature of the Constitution. It was also held that to diminish the role of the executive in judicial selection was not suited for a democratic society. Striking a discordant note with the widely spun narrative of the judiciary being the sole protector of civil liberties, he observed: To assume or assert that judiciary alone is concerned with the preservation of liberties and does that job well, is an assumption that is dogmatic, bereft of evidentiary basis and historically disproved. The point sought to be highlighted was that judiciary is not the only constitutional organ which protects liberties of the people, and the demonization of the executive in the popular imagination was without basis. The emphasis of Chelameswar was more on creating a transparent and fair system, rather than keeping out the executive from the selection process. He termed the collegium as “euphemism for nepotism”. “We the members of the judiciary exult and frolic in our emancipation from the other two organs of the State. But have we developed an alternate constitutional morality to emancipate us from the theory of checks and balances, robust enough to keep us in control from abusing such independence?” he remarked. He also wanted more participation of the members of the civil society in the selection process. According to him, the fiascos of collegium appointments would justify the participation of the members of the civil society in the process to eliminate from the selection process the maladies involved in the process. This was in contrast to the majority opinion, mainly expressed through Justice Khehar, which infantilized the civil society as immature. The decision of subsequent CJI Dipak Misra to publicise the minutes of collegium meeting could be a result of the relentless protestations of Chelameswar. Justice Chelameswar was part of the bench which struck down Section 66A of the IT Act in the historic Shreya Singhal case. The judgment authored by his brother judge Justice RF Nariman termed the provision as creating a chilling effect on the freedom of speech and expression. One of the first orders in the Aadhaar case holding that concessions and benefits cannot be denied for not having Aadhaar card was pronounced by a three-member bench presided over by Chelameswar. (Justice K.S Puttaswamy (Retd) v. Union of India (2015) 8 SCC 735). In the privacy case, he observed: “What you eat or wear is nobody’s business and amounts to intrusion into your privacy rights”. He discussed the privacy of ‘repose, sanctuary, and intimate decision’. One area which was close to the heart of Justice Chelameswar was disability rights. While being a judge of the High Court of Andhra Pradesh, and later the Chief Justice of Gauhati High Court and Kerala High Court, he has authored several judgments advancing the causes of persons with disabilities. In Rajeev Kumar Gupta v. Union of India (2016) 13 SCC 153, the judgment authored by him expanded the scope of disability rights by holding that persons with disabilities were entitled to reservation even in posts where recruitment is through promotion. November 10, 2017, will be an unforgettable day in the Indian judicial history, where an unprecedented controversy erupted in the court. On the previous day, a petition seeking a court-monitored investigation into the bribery allegations pertaining to Prasad Education Trust case was mentioned before the bench headed by him. Since the bribery allegations were with regard to a case disposed of a bench led by the CJI, the mentioning was made before the bench headed by Justice Chelameswar, the second senior judge. Terming the allegations “grave and serious”, the matter was referred to be decided by a bench constituted by five senior-most judges, excluding the CJI. On November 10, the very next day, this order passed by the two-member bench headed by Justice Chelameswar was annulled by a hurriedly constituted constitution bench led by CJI in a raucous hearing session marred by an unprecedented drama. Many in the legal field feel that these events acted as a catalyst for the press conference of Justice Chelameswar, Justice Gogoi, Justice Lokur and Justice Kurian Joseph on January 12. Justice Chelameswar himself described it as an "extraordinary event". During the news conference, he said: "Sometimes administration of the Supreme Court is not in order and many things which are less than desirable have happened in the last few months." Justice Chelameswar said: "We owe a responsibility to the institution and the nation. Our efforts have failed in convincing CJI to take steps to protect the institution." “Wise men should not say in future that we sold our souls," he remarked during the press meet. There have been instances where case having far-reaching consequences for the Nation and the institution had been assigned by the Chief Justice of this Court selectively to the benches “of their preference” without any rationale basis for such assignment. This must be guarded against at all costs. Later in March 2018, he issued a letter to the CJI, protesting the manner in which the Central Government was making interference with the appointment of a judge to the Karnataka High Court. He took strong objection to the manner in which the Central Government issued recommendations to the Karnataka HC, bypassing the SC collegium. Condemning such practice of the Centre directly communicating with the high courts, he asserted that “bonhomie” between the judiciary and the government “sounds the death knell to Democracy”. Equally noteworthy is his interview given to Karan Thapar during April 2018. Very circumspect so as not to breach limits of propriety, he opened his mind in the interview regarding the pressing issues faced by jthe udiciary. The public conversation between him and Thapar—an articulate journalist, well-known for his incisive questions, was highly engaging and delightful. There are various factors which make a Judge pliable. Some of the factors are - individual ambition, loyalty - based on political, religious or sectarian considerations, incompetence and lack of integrity. Any one of the abovementioned factors is sufficient to make a Judge pliable. A combination of more than one of them makes a Judge more vulnerable. Combination of incompetence and ambition is the worst. The only way an ambitious incompetent person can ascend a high public office is by cringing before men in power. It is said that men in power promote the least of mankind with a fond hope that those who lack any accomplishment would be grateful to their benefactor. History is replete with examples—though proof of the expected loyalty is very scarce. Usually such, men are only loyal to power but not to the benefactor. These words underline his positive self-image and sense of self-worth, and also his utter disdain for those who bow before power for crumbs of benefits. One thing can be said about him for certain—that he is not a stickler of the status-quo, and that he will not shy away from doing the right thing according to him, regardless of the constraints of convention and judgment of public opinion. His unconventional methods have earned him bouquets and brickbats, and he seems to be unmoved by both. Perhaps, he might have imbibed the sense of indifference and equilibrium advocated by Bhagavad Gita. This could be the reason why former CJI Ventkatachaliah described him as the sanyasi in the Court. A sanyasi is one who works for the sublimation of soul detached from worldly rewards. Perhaps, the ex-CJI intended that Chelameswar was endeavouring for the betterment of justice delivery system, without any desire for benefits to himself. The legend of Prometheus, the Greek mythological character who invited the wrath of gods for giving the fire of enlightenment to humans, emerge as a striking parallel to the course of journey of Justice Jasti Chelameswar.